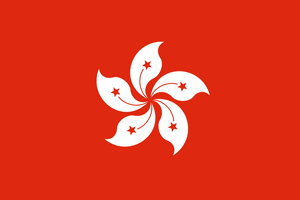 Hong Kong is a former British colony, in south-eastern China. Vibrant and densely populated, it is well-known for its tower-studded skyline and lively food scene, not to forget the high-end shopping options it offers. So what are you waiting for? Grab your passport and get going to Hong Kong, while TCE takes care of your money matters. The Hong Kong Dollar is the official currency of Hong Kong. Its sign is similar to that of any dollar, i.e. $. It is the thirteenth most traded currency in the world. Each HK-$ is divided into 100 cents. It is also used in nearby Macau. TCE offers its customers unrivaled exchange rates, anywhere in Canada. There are no hidden charges and the customers never over pay, instead they end up saving money. Our expert services ensure that our customers are satisfied. TCE knows the value of saving time. If you are short on time, TCE offers online ordering services, where you can order for a currency exchange by making an online payment using your Interac debit card. You can either collect your currency from any of our stores or opt for home delivery, where your package will be delivered to you at home through Canada post within two business days. Call or visit our location today to get a quote and exchange foreign currencies. 5775 Yonge Street, Toronto, ON, M2M 4 J1, Canada.